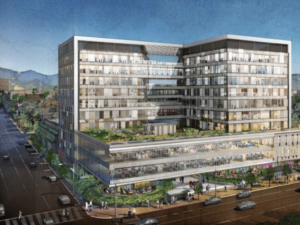 West L.A. office complex to add 120,000 square feet of office and retail space. 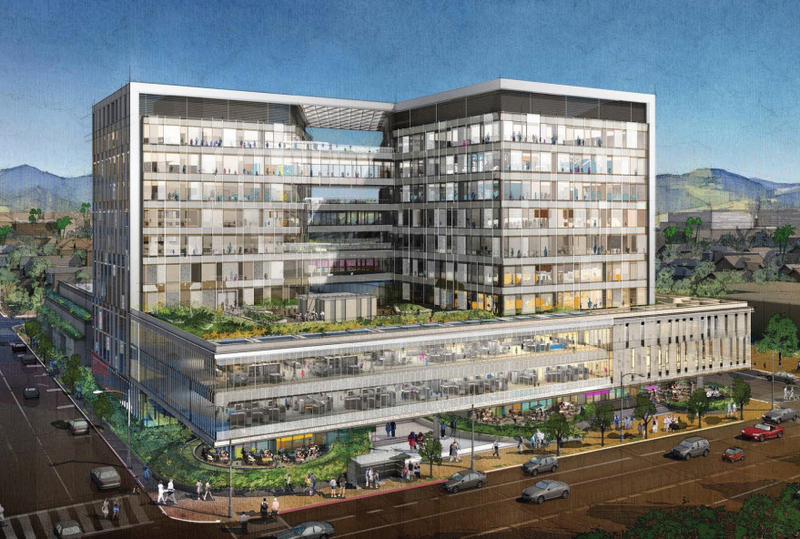 An initial study published by the Los Angeles Department of City Planning offers a sneak peak at the proposed expansion of West L.A.’s Trident Center. 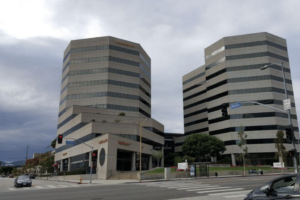 The mid-rise office complex, which spans a full city block at 11355 W. Olympic Boulevard, currently consists of two 10-story buildings with a combined 383,000 square feet of leasable offices. McCarthy Cook, the real estate firm that owns the facility, submitted plans to the city last summer to build an additional 120,000 square feet of offices and retail space on the property. 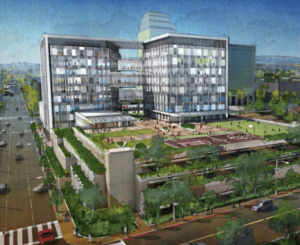 Renderings of the project, which is being designed by Gensler, show bridge multiple bridges between the two buildings would create some of the new office space, as well as opportunities for elevated amenity decks. The second and third levels would be further extended out towards Olympic Boulevard, where offices would hover over a ground-floor plaza flanked by commercial space. The existing buildings, which opened in 1983, would also be reclad with a glass curtain wall. 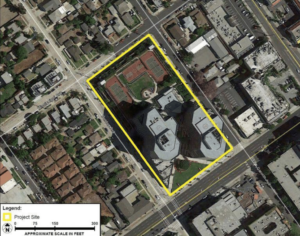 An existing parking garge and recreation deck at the back of the property would be retained. No new parking is proposed within the expansion. Construction of the Trident Center expansion is expected to occur over two phases, starting with the podium structure and followed with improvements to the towers. Work is expected to occur between 2018 and 2020. The property is located along the Olympic Corridor, which has among the lowest office vacancy rates for L.A. submarkets. Besides the Trident Center, additional space is also planned as part of the nearby Martin Expo Town Center development.